Irish Water and Cork County Council are continuing to monitoring all water supplies across the county on a daily basis while this unprecedented dry spell continues. Night time restrictions have been imposed on the Inniscarra, Clonakilty and Kilbrin water supplies from 11pm until 7am. These will continue for the foreseeable future and both Irish Water and Donegal County Council will continue to monitor the schemes carefully. The Freemount, Gortnaskethy, Castletownroche, Ballinatona, Kilva, Mallow, Crookhaven Goleen, Schull, Cahernacrin, Derryginagh, Knockraha, Corbally, Minane, Nohoval, Roberts Cove, Whitechurch, and Cobh water supplies are still classified as at-risk and customers supplied from these schemes are asked to be especially mindful of their water consumption at this critical time. The public across the whole county are urged to continue conserving water in every possible way to ensure a continuous supply for all. As the weather conditions remain warm and the drought is increasingly reducing water levels in rivers, lakes and boreholes, production at water treatment plants is struggling to meet increasing demand. As well as reducing consumption, we are appealing to the public to report leaks on the public water network to 1850 278 278 and to repair private side leaks in both homes and in businesses. The public are asked to change their mindset on water usage and to conserve water now and for the months ahead, as it will take many weeks and even months for raw water levels to restore in rivers, lakes, and boreholes and for treated water levels to restore in our storage reservoirs. Across the country Irish Water is working with local authorities to do everything possible to conserve water availability, examining how we can make further inroads into leakage by mobilising extra crews and seeking maximum public cooperation in saving water. We now have over 47 water supplies under night-time water restrictions and over 65 water supplies at risk due to high consumption. We are tankering water from larger schemes to top up reservoirs where levels are falling and trying to protect borderline supplies so as to protect water supply to homes and businesses. This work becomes more challenging as the drought impacts spread nationally and the reserves of water fall across the country. Irish Water will continue to encourage and support the public in their conservation efforts and we are grateful for all measures that have been taken in homes and businesses. In the last week the utility has also been in touch with large commercial users who have committed to conserve water and we are very grateful to them for their efforts. Irish Water’s drought management team will continue to meet daily and is monitoring water supplies and demand around the country. This work is coordinated daily through our three regional teams and the 31 local authorities operating the system. Local authority crews have been on the ground managing supplies, trying to control pressures and in critical schemes managing restrictions on night use to try to protect critical day-time use. Crews are busy identifying and fixing leaks to try to take pressure off the system and Irish Water wants to recognise and acknowledge the efforts that are being made. Irish Water is working to mobilise additional resources for finding and repairing leaks in support of the local authority efforts. We continue to ask the public to notify us of leaks which we always follow up. Public side leaks are dealt with in the first instance by the local authority teams. We have contractors available to assist with private side leaks under the ‘First Fix’ scheme. Where we cannot access private property to repair obvious leaks, we are committed to serving enforcement notices under the legislation to enable us to have these effectively addressed. The Water Conservation Order and hosepipe ban for the Greater Dublin Area is in place until July 31 and this has now been extended to cover the whole country. filling or replenishing an artificial pond, lake or similar application. This prohibition will apply from 8am on Friday, 6 July 2018 until midnight 31 July 2018. 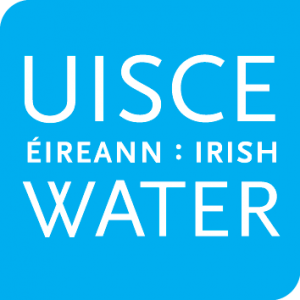 The Irish Water Conservation Order (hosepipe ban) does not apply to private wells or private group water schemes. Working with the National Federation of Group Water Schemes we urge all water users to conserve water during this drought period and over the coming months to protect all water supplies. The primary purpose of these orders is to mobilise maximum public support and engagement on minimising water use during the crisis. Similar drought orders have been introduced in Northern Ireland and in British water utilities and operate by mobilising public support for responsible behaviour. Irish Water is backing up these orders by increasing the number of call centre agents to take calls from the public and we will follow up such reports to encourage water conservation measures and to offer technical support, for example advice or support on how to repair leaks. We believe that this approach will deliver the best outcomes in terms of saving water. Irish Water’s primary concern is for longer term supplies in late summer and autumn. Based on modelling in previous dry years, and allowing for how dry the ground now is, we need to maximise conservation of raw water at this time to secure our needs over the coming months. Therefore, these urgent conservation messages are of critical importance to communities in Dublin and the other marginal supply areas across the country.